The North York Moors is a geological marvel – and it doesn't take a geologist to work it out! The geology of the National Park tells a story that stretches back around 200 million years. The beauty of this story is that it’s quite easy to follow – anyone with a passing interest can get their heads round our rocks. And the Yorkshire coast has played a major role in the science of geology. 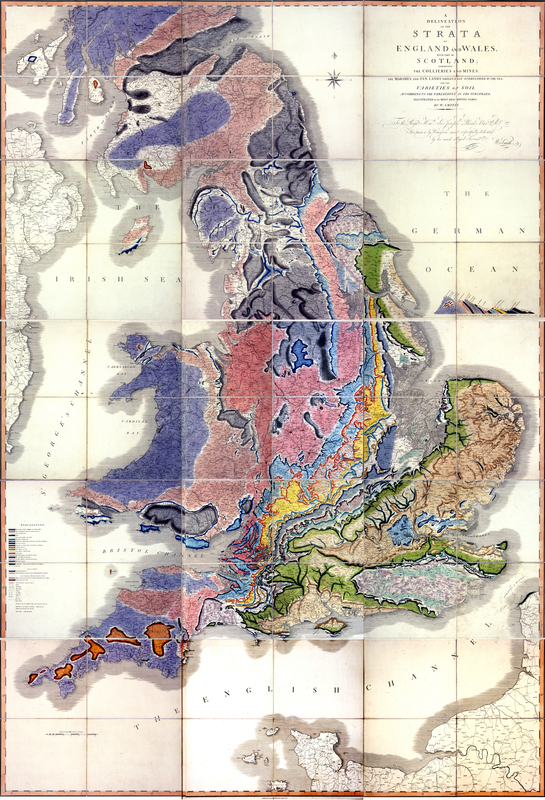 2019 is the 250th anniversary of the birth of William Smith, the father of English geology, who developed the methods for classifying and mapping rocks that form the basis of the discipline today, eventually publishing a geological map of England and Wales in 1815. Smith worked on the Hackness Estate from 1828 to 1834, now in the National Park, during which time he also suggested the design for one of the world’s first purpose-built museums, the Rotunda Museum in Scarborough. His ground-breaking work, described as ‘the map that changed the world’, includes one of the earliest published mentions of our name 'North York Moors' and more than 200 years on, his map is still celebrated. A towering wall of limestone, sheared off by glaciers during the last ice age, complete with one of the finest views you’ll ever see. This steep cliff face is directly above Lake Gormire, near Sutton Bank National Park Centre. Great for a scramble or rock climbing, a jumble of huge sandstone blocks high above the Cleveland plain. Follow our classic Wainstones Walk which takes in these dramatic rock crags. Accessed through Dalby Forest, these spectacular, teetering pillars of sandstone in the middle of the moor, are sculpted by millennia of fierce Yorkshire weather. Surrounded by ancient woodland, and wildflower meadows, the Bridestones are a great place for a picnic. This lovely wooded valley near Scarborough is the ideal introduction to the various rocks of the Upper Jurassic period. A specially marked trail leads you through a series of old quarries where the geological past is laid fascinatingly bare. Any of our sea cliffs are worth a visit, but the cliffs around Runswick Bay and Robin Hood’s Bay are especially rewarding for amateur geologists to explore. Look out for fossils and dinosaur footprints. Or join one of Hidden Horizons' fossil hunts, rock pooling trips and dinosaur footprint walks to discover even more secrets of the National Park’s coastline.